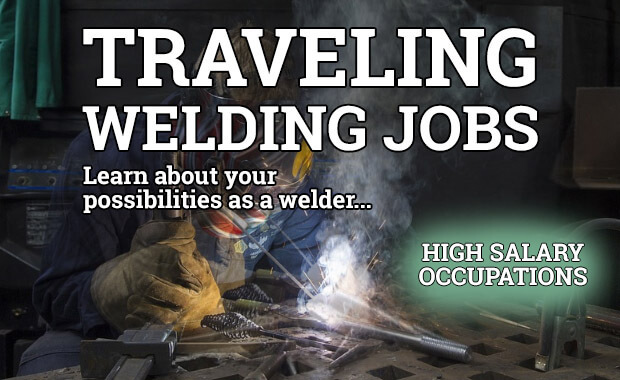 Traveling Welding Jobs: Welding with an AWESOME Salary! Welding is a field that gives more choices for industries to do your work. Additionally, it offers a variety of opportunities for advancement than most of the career choices. You should note that welders are required in almost all the industries and this serves as a guarantee that one will get employment after finishing the welding program. In this project, we will look at some of the traveling welding jobs and they are as follows. People who have worked in this type of job have a lot to explain about it. Depending on how hard you work, you can get up to $15,000 in a short period of time. Sometimes, the company supplies the required resources for working but you can as well have your tools. It is important to know that large plants prefer to have a short shutdown period which is roughly a week. They try their best to finish all the available job in the short available time. As a result, they have to bring in contractors and ensure that they work in shifts for 24 hours a day. In regards to what you can earn, it depends on how much you want to work in a day. You are the one to take control of your schedule and figure out how much time you need for a break in between the shutdowns. It is advisable to suspend other activities that may take much of your time during this time. Being so much involved in family issues may reduce the time you take during the shutdown period. 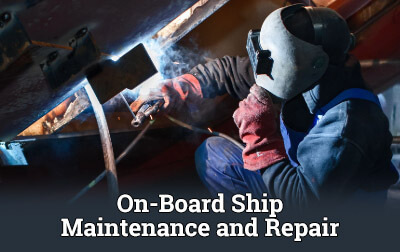 In this job, welding plays a crucial role in repair and shipbuilding. 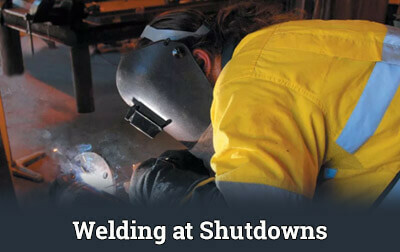 Welders under this job must follow specified strict rules and regulations for safety. Due to the kind of job, they have to be familiar with the modern technology that the company has chosen to use. It is imperative to get proper training since most of the companies are looking for people have undergone formal training. The knowledge in physics and chemistry is required in this particular job. On the job, one should always ensure to work in a safe environment. Safety should be assured by inspecting the environment to check whether there are sufficient tools for firefighting and if they can be accessible. Additionally, the workers should ensure that all the openings of the deck are surrounded by rails since it is an important regulation for the occupational safety. Welders should also protect themselves with using appropriate UV protection and check on sufficient ventilation in work-spaces that are closed. 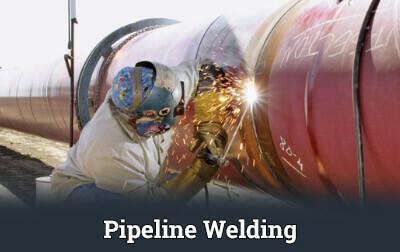 Pipeline welding job entails repairing and joining tubular and metallic pipes as well as assembling. Welders that work with pipelines use various processes and equipment in the wide range of commercial and industrial environment. The job is so important in the modern world since things like keeping yourself warm, driving to work and even cooking depend on it. In different ways, pipelines can be seen as the veins of all our infrastructure, distribution of oil, natural gas, and water which are important in life. Welder in this job uses their skills to make it possible for us to use these resources by repairing, maintaining these pipes in a safe, effective and efficient manner. The job has various welders working on the pipelines, oil rigs and refineries which make up the industry of gas. Welders are also required to work in other fields like nuclear energy, automotive, fabrication, shipbuilding, and aerospace industries. The welder is likely to get a job since pipelines can be used in almost all the places where people live and work. For you to be successful in the job, you need to be proficient at welding and know different materials for the processes. You have to begin training in a welding or technical school. 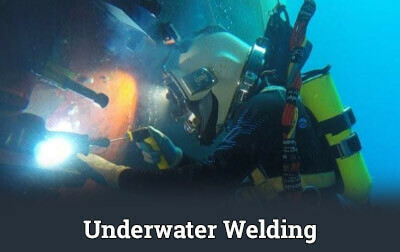 The job requires the welder to use common processes of arc welding to cut and weld in different aquatic environments. They have to use their welding knowledge and intricate knowledge on procedures of diving to lay down long-lasting welds. It is a job that is different from dry welding since welding is done in open waters going deep up to a hundred feet. The underwater welders are important since they repair dams, military and commercial ships and nuclear power plants. The job has... ...a variety of career opportunities that are available for the welders. They can choose to work in any of the industries in the field, for instance, marine salvaging and oil and gas. Construction industries often require the unique blend of skills of underwater welders to dismantle vessels, lay pipes and build bridges. Most of the jobs are found in the coastal regions and therefore job seekers need to consider location requirements before getting the job. Certification is also a requirement as both a commercial diver and a welder. Welding has done a great job in the success of motorsports since there are cups won and other countless wins. For instance, it is known that Hendricks Motorsports is one of the largest, successful and most sophisticated racing operations in the world. This is because they have the best welders in their operations. After their races, they need the best welders to work on their severely damaged vehicles which should be done within a week. Their activities, therefore, rely on welders with skills and the best welding equipment. For one to work in the motorsports welding job, there have to be enough skills that are attained from technical institutions. You have to get certification since the kind of job you do is expected to be of high quality. 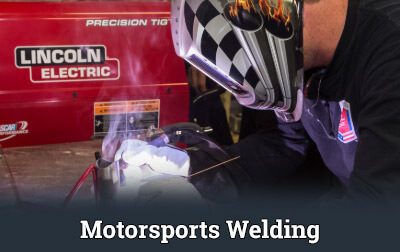 In this case, Miller welders are seen to be the critical aspect in the success of the motorsports industry. The ship needs its machinery to be kept up to date and therefore maintenance is important for smooth operation conditions. The engine room of the ship houses the maximum machines and the crew helps in maintaining the conditions. Each machine has to be maintained by the crew and that has to be done at certain intervals of time. There are different types of the procedure of maintenance which include scheduled maintenance system which is done as per hours or intervals of like six times a month. There is also breakdown maintenance and also condition maintenance system. The machines are checked with the help of sensors and therefore experience is required. Lately, the military of America is engaged heavily in overseas and therefore there is great demand for skilled trades in the four military branches. The military will provide you with the best education and training and also give you a real-world project that is meant to boost your experience. You will end up getting quality education on welding which can help in launching your welding career. Welders in the army are always called upon to work in repair shops, working on-site construction and also repair work in the fields. The army welders can be called to make vehicle and equipment repair in the field. They can also work on repairing bridges and other structural repairs. 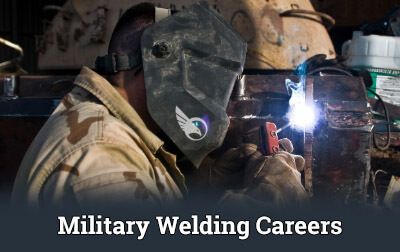 Many people consider the navy as the main training ground for welders. The navy has its own school which is different from the other three branches. 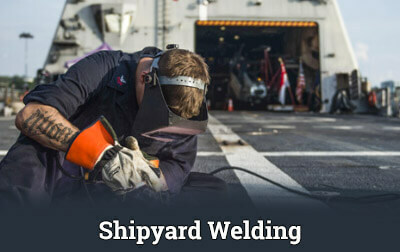 Just like in the army, navy welders work repair machines and work in repair shops. The also perform repairs and maintenance in the field. The air force welders work on the tasks that are performed by the army but also work on the aircraft. The nature of most today’s aircraft is sophisticated but there is, however, the work related to aircraft is less than you think. Most of the parts are mostly replaced and not repaired. Some projects that are highly critical need to be farmed to civilian shops for repair by specified technicians. This is the smallest group of the four branches of the service that is mostly focused on combat. The marines have a greatly reduced number of personnel involved in the trade of skills. The marines who may be assigned for welding end up doing work with a different branch and that depends on the deployment in particular. This means that they will have experience with full experience in welding as they learn unique specialization from the other branches. From the article, it is clear that a career in the welding can be one of the best and most certainly an interesting one. Click here to learn how to become a welder and get the certification you need! The career opportunities are available in different sectors in the field. Therefore, it is advisable for you to find a school where you will get the training required for working.